On behalf of admin of JML Law, A Professional Law Corporation posted in Car Accident on Wednesday, Jan 10 2018. Even parking at a Hilton hotel can result in dire consequences… as seen in the most recent parking lot accident in Long Beach. A young male suspect kept Long Beach police officers busy for a short period of time when he carjacked a car while a woman was still in the passenger seat. The incident took place in the valet parking area of the Hilton hotel in Downtown Long Beach. The 18-year-old man, identified as Julian Morales, got into the car in the driver’s seat and started driving away from the parking area. The woman, who was still in the vehicle during the carjacking, managed to get out of the vehicle. The woman’s falling out of the vehicle resulted in minor injuries. Morales, meanwhile, drove onto the nearby freeway in an attempt to get away from the scene of the parking lot accident as far as possible. But it all came crashing down when the suspect slammed into a tree nearby and attempted to flee on foot. Morales was injured in the single-car crash, so it didn’t take long for police and CHP officers to locate and arrest him. Morales was initially taken to a local Long Beach hospital, and then released and taken into custody on suspicion of carjacking, kidnapping, criminal threats and a warrant for attempt robbery. Ditch your phone. Phones and other gadgets are the biggest distractions nowadays. Whether it’s a text message that beeps while you’re parking you vehicle or an urgent call that you have to take, KEEP YOUR HANDS OFF your phone until you’ve safely parked your car. The same applies if you’re waiting for a valet with your car’s doors wide open (you don’t want a carjacker to jump into your vehicle, do you?). Never park at the end of an aisle. Parking at the end of an aisle increases the risk of colliding with other vehicles entering or exiting the aisle. In fact, drivers who get out of their vehicles at the end of an aisle are also at a greater risk of getting struck by cars. Take it slow. Especially when it comes to backing out from your parking space. Sure, you don’t want to miss that job interview, doctor’s appointment or your first date, but backing up in a hurry can result in a parking lot accident and cause injuries. Take precautions. Adjust your mirrors and be on alert for blind spots when backing out. Did you know that backing out moves cause over 500 deaths every year in the U.S.? Beef up security. You don’t necessarily need a bodyguard for that… All you need is to be vigilant at all times when parking your car and when entering/exiting your vehicle. Be warned that bad guys, who want to carjack your car, rob or assault you, may be hiding behind cars. Stay away from poorly lit areas in parking lots and lock your doors at all times. Parking lot accidents have been on the rise in Long Beach and elsewhere in California in recent years, especially in shopping facilities and hotels. Whether it’s carjacking, theft, vandalism or car accidents, the risk of getting into a parking lot accident can never be ruled out. 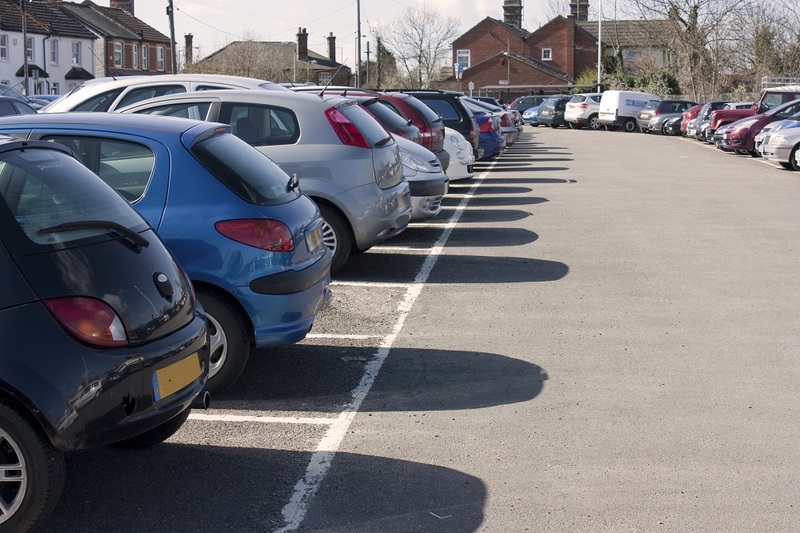 If you have become a victim of a parking lot accident, don’t hesitate to reach out to our Long Beach car accident attorneys at JML Law to get a free initial consultation. Discuss your best legal options today by calling at 818-610-8800 or send an email.